You already know how this works so let’s get on with the show, shall we? As much as I loved Ultrabland, I was keen to try something new and with the weather trying to get a little warmer, I need to start getting on top of the oil slick-shine that is sure to come with summer sunshine. After a chat with a Lushie they recommended Angels on Bare Skin. I’ve got to say, so far so good. It’s derived from an ancient medieval recipe, specially formulated to absorb grease, remove dirt and not strip or dry out your skin. I only bought this because of how delicious it smells, I want to chomp down the whole stick but I’m pretty sure that’s frowned upon. It’s natural, nourishing and leaves lips supple and soft, no complaints here. 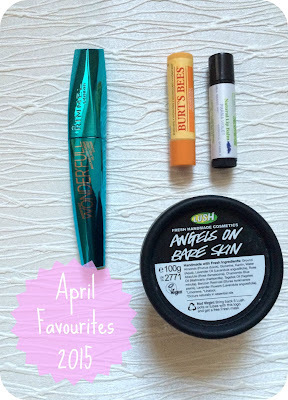 Bought on a whim as I really loved the packaging and it was the only black waterproof one I could find on the shelf as Boots was about to close (I was having an e-mascara-mergency). The wand is big and chunky, it coats all the lashes evenly with just a little wiggle and doesn't leave behind any spidery, clumpy mess. Lashes look full and it holds the day through without fall-out or panda-eyeing. I was sent this as a little gift with my latest Washi hot cloth order and I love it. I used to love parma violets as a kid and this lip balm smells exactly like them, it’s uncanny, even Mr commented on how lovely it smells. It takes me straight back to my childhood and 10p mixes on the way home from school. I switched out my regular Graze snack box in favour of their cereal subscription and I’m impressed. 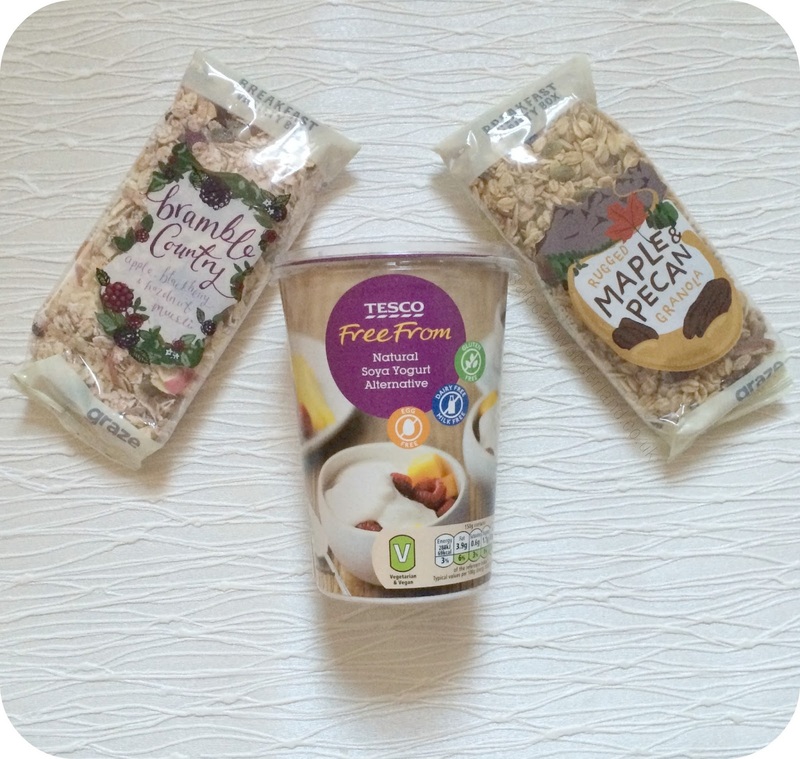 It’s getting a little warm to be having porridge for breakfast so I want something lighter but tasty. The Rocky Road, Chocolate Orange and Scandinavian Fruits granolas are my favourite so far! I seem to be getting more sensitive to dairy by the day of late so I’m trying to cut back and make dairy-free changes where I can. I was skeptical about soya yoghurt but it’s actually delicious, and doesn’t taste much different from natural yoghurt. I’ve been making my own little yoghurt pots for work with this soya yoghurt topped with chopped nuts and raisins.Yum! 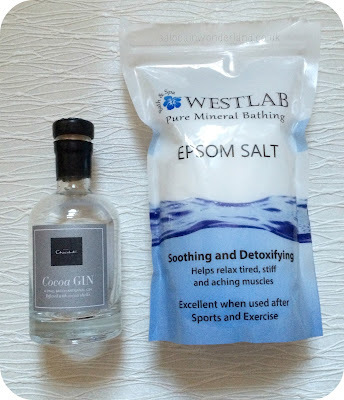 I’d read that having an Epsom Salt bath would help soothe and relax tired muscles. I’ve been attending a kettlebells at my gym and bloody hell I’ve never felt muscle aches and fatigue like this before. I’m loving the class but the after affects not so much! The first few goes at anything new are always a killer, or is that just me? 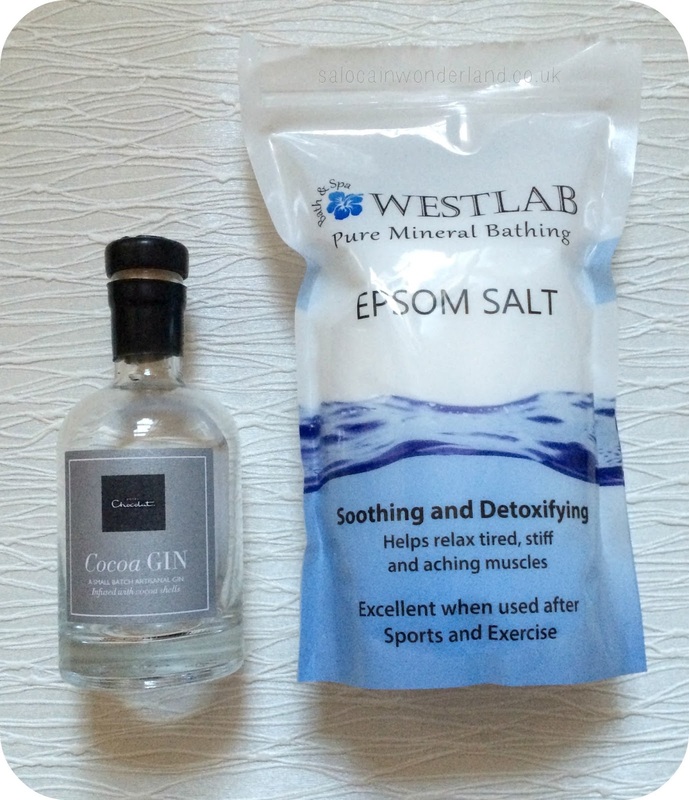 I’ve found running a hot bath, chucking in some Epsom Salts and essential oils and laying in it oh so still for twenty minutes or so is the perfect way to soothe my poor aching muscles. I didn’t want any chocolate for Easter so Mr went and got me possibly the best alternative to an Easter egg…chocolate infused gin! On it’s own, it’s as bitter as eating a raw cocoa bean (bleh!) but over ice with some cranberry juice it’s….oh my! I love dark chocolates filled with raspberry and it tastes exactly like that but in liquid form. It’s the perfect ‘hey it’s the weekend’ treat and I’m savouring every last drop. Seventeenth century Amsterdam, a city filled with wealth, oppression, secrets and mystery. Young Nella finds herself the wife of a wealthy merchant, and just as she thinks her wonderful, splendiferous life is about to begin, she finds more secrets than answers about her new family and household that will, in the end, leave every member forever changed behind closed doors. The book had me gripped from start to finish and the ending left me with tears in my eyes. A powerful, moving novel that should be on everyones reading list this summer. I’m only about a third of the way through but I had to give this one a mention. Not only has it took me right back to my Uni days of media theory and social studies, but it’s had me laughing out loud with every turn of the page. Rhiannon and Hollys frank talk about the representation of women in magazines and social media really hits home. Though it’s stating pretty obvious things, sometimes the obvious needs to be pointed out and shamed. If you ever needed a reason to never buy another issue of Cosmo again, this book would be it. The Mr picked this one from Netflix and the two of us can’t get enough of it. I’m not one for political dramas but every episode (and we’ve watched almost 2 seasons now) has me screwing up my face and shouting out loud, “they can’t get away with that!”. It’s gripping, with great dialogue, unbelievable plot twists and characters you love to hate. Oh, and did I mention Kevin Spacey? When he turns to camera and addresses the audience, I get a little shiver and reach for a pillow to hide behind - every time! Why wear one face mask when you can wear a few and benefit from the lot at the same time? Philosophy - I got my hands on a ridiculous amount of Philosophy samples at the beginning of the month that I’ve been working my way through and I hate to say it but, out of about 6 or so different products I’ve sample so far, every single one of them has been nothing short of awful. I’ve never had that kind of reaction to a brand before, to the point where I just don’t think I can use up the rest of the samples. Its delicious! I wasn't too sure at first but then I thought, GIN and CHOCOLATE, what's not to love?? It's unique and so tasty! Hi Sarah! My April went by pretty fast! My youngest gets his diploma this month! Is it already May?! I can't believe it's May, especially when it feels like December out there right now! This year is FLYING! PALMA VIOLETS. Give me this. I love them so much, they're delicious! I could eat them all day long if I wasn't so worried they'd cause my teeth to disintegrate! SO tasty! Some new things for me to try yay, thanks! I didn't personally like the wonder'full mascara, but I think mascara is very personal. I'm glad I found a post for someone who liked it though, it's interesting! I always wonder who out there likes the things I don't too, always great to see a different opinion!